PRAGUE, August 30. /TASS/. 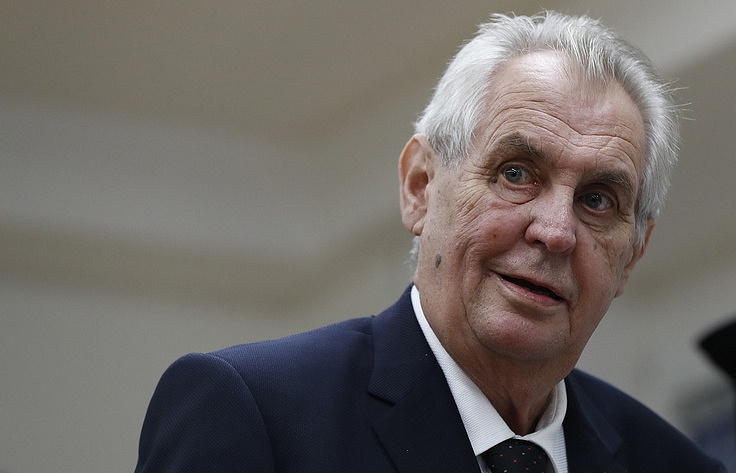 During a meeting with ambassadors and other diplomats in the Prague Castle on Wednesday evening, Czech President Milos Zeman called for the removal of anti-Russian sanctions, the CTK news agency has reported. "The anti-Russian sanctions affect both sides [Russia and West - TASS]," Zeman was quoted as saying. "This applies to all kinds of sanctions." He added that the US sanctions against Cuba, which have been in effect for decades but could not change the existing regime, remain a clear illustration of the futility of sanctions. The Czech president said that anti-Russian sanctions are also detrimental for the European Union, which had joined them, and the European Council should not extend them again. Zeman added that prominent politicians from Slovakia, Austria, Hungary and Italy have also spoken out against anti-Russian sanctions.